I had a Dell XPS 13 review unit for one week back in April and it’s one of those laptops I couldn’t wait to send back. It was indeed frustrating that such a beautiful and lightweight laptop was barely useable. The trackpad had documented issues and the auto-brighness of the screen could not be turned off. Three months later, I have tried the Dell XPS 13 again and it appears that Dell has worked out all the quirks in it. They shouldn’t have put this ultrabook on the market in the first place without having a better quality control team. However, the XPS 13 is so good now that it almost makes up for Dell’s poor quality control. The Dell XPS 13 is incredibly light and portable. 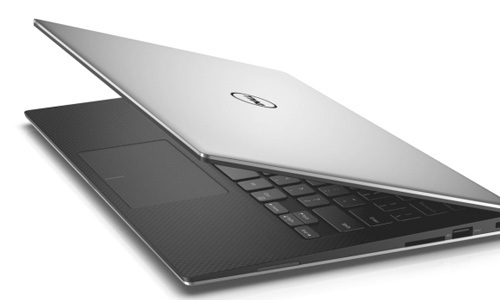 The latest version of the Dell XPS 13 is what I can easily call the best laptop in the 13-inch and under game today. It beats out the MacBook Air. It’s better than the new 12-inch MacBook. And yes, it’s better than the 13-inch MacBook Pro. I say this with Windows 10 in mind, which the laptop now includes. Windows 10 is almost as good as OS X Yosemite. It will probably be just as good with updates that work out the minor quirks. If you are a blogger, the Dell XPS 13 is heaven-sent. The cramped up keyboard takes a little time to get used to, but you will be able to type as fast as you usually do on other keyboards within a couple of days. You can navigate using the touchscreen or the newly-improved trackpad, which works almost as well as the trackpad on the MacBook Pro. I found myself using the touchscreen more to move around since it felt more natural. The Intel Core i5 processor helps move things along smoothly, although I did see some hiccups when using Photoshop with Illustrator running in the background. The 3,200×1,800 pixel resolution screen on the XPS 13 is soothingly beautiful, especially when playing 4K videos on YouTube. I often wished that the screen could get slightly brighter, but Dell probably didn’t allow this since it would eat some of the battery life. Speaking of battery life, it is quite shocking that a high-powered laptop with an (almost) 4K screen could last 6.5 hours using high-powered programs such as Photoshop and Illustrator while streaming videos from Netflix. The XPS 13 will last a lot longer in most situations. You will rarely find yourself running out of juice with the battery fully charged in the morning. Dell certainly doesn’t offer the same quality of customer service that Apple (or even Microsoft) offers, but they are getting better. In the early 2000s there were a lot of Dell customer service nightmare stories, but those have become good dreams lately. If the XPS 13 is a signifier of Dell’s future, Apple may want to watch their backs. 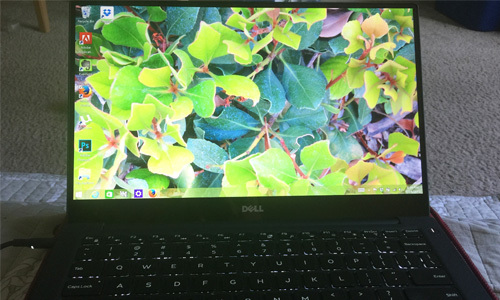 This entry was posted in Review and tagged Dell XPS 13. Bookmark the permalink.